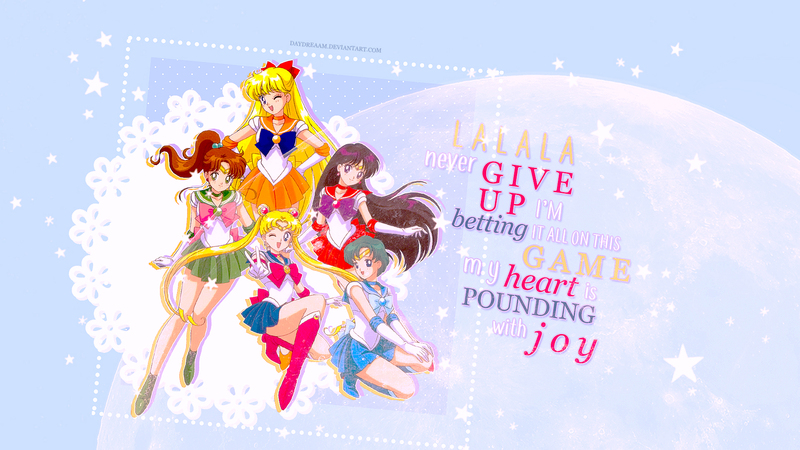 Bishoujo Senshi Sailor Moon Wallpaper: Never Give Up. Minitokyo »	Bishoujo Senshi Sailor Moon Wallpapers » Bishoujo Senshi Sailor Moon Wallpaper: Never Give Up. Credits: http://www.blamspam.minitokyo.net/, http://freepik.com/, http://ransie3.deviantart.com/, http://wikipedia.org/, http://aaronieroarruruerie.tumblr.com/, and http://www.dafont.com/.